Sakai Guides and DocumentationSakai Complete User Guide Tests and QuizzesHow do students view assessment (i.e. test or quiz) feedback? Zoom: Click on the feedback link for the assessment. Zoom: Correct answers are marked with a green checkmark. 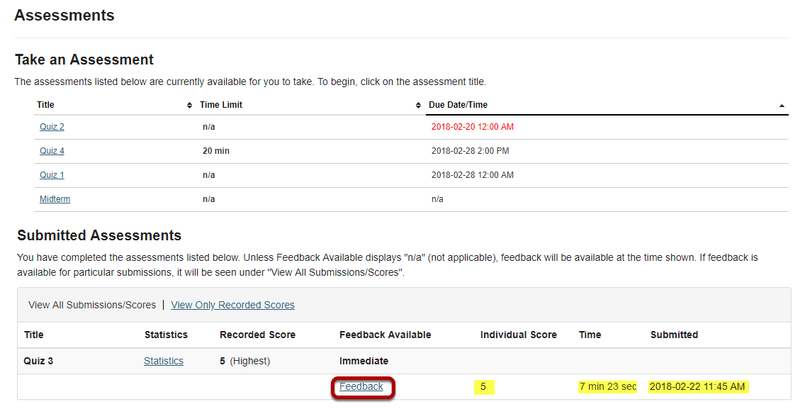 Zoom: Incorrect answers are marked with a red X.
Prev: What information is in a Tests & Quizzes email notification? Next: What is the Web Content tool?